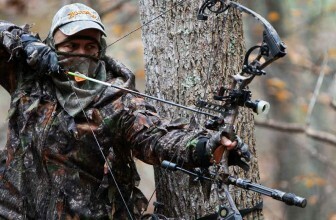 Imagine you are sitting in the tree stand you fabricated yourself on a chilly morning. 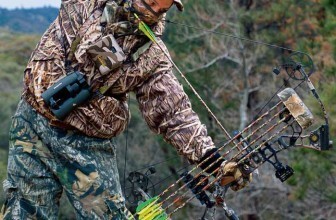 You watch as your breath is released from your body in a fog, your bow strung as you grip your compound hunting bow. You are dressed in warm woodland camouflage attire, waiting for your prey. You can have every accessory available including a bow sight but you might just get some bad luck. 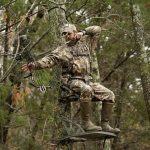 While it is possible that your prized buck will simply wander into your path blindly, you are capable of drastically increasing your chances of seeing those antlers in the greenery if your deer is provided with some form of incentive to visit you. 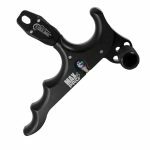 There are many types of lures and attractants out there, let’s review which is the best for your application according to www.tacxtactical.com expert. White-tail deer: This species is easily distinguished by its white tail. They average between 100 and 150 pounds and can be found all over North America. Their antlers grow from a single stem. Mule deer: These are the largest of the three common species. Some specimens weigh in at over 400 pounds! These deer have a black-tipped tail and have antlers that fork out as they grow. Black-tailed deer: This is a subspecies of the mule deer. They weight in at over 300 pounds and reside on the Pacific coasts. It shouldn’t surprise you to read that deer have heightened senses compared to humans. This allows them to protect themselves against predators. If that is the case, we need to cater to these heightened senses and make approaching us a desirable option. Specifically, we need to cater to their senses of smell and hearing. Deer are on par with bloodhounds when it comes to their sense of smell. It is no difficult to ensure that your intended prey smells your lure. The issue is getting the deer to approach it. According to zoologists, deer can pinpoint the location of where a sound is coming from. This means that it is simple to tip off a deer with a simple click of your safety or a slight shuffle of your boots. Contrarily it is also easy to make sounds that cause them to want to investigate. Which attractants you use is dependent on the season you are choosing to hunt during. Usually, a combination of attractants that appeal to their sense of smell and sound is the best route to take. Early Season: You should be using doe urine at this time with a grunt tube. Rut: A strong estrogen scent and some doe bleats will bring in the dominant bucks. Post-Rut: Bring in the doe bleats and basic urine to attract a male. It is important to pay attention to the seasons and to choose your lures accordingly. If you choose a lure that doesn’t coincide with the proper season you run the risk of alerting your prey to an abnormality and deter them from approaching. It is hard to beat a 4.9-star review by multiple Amazon customers but that is just what this product brings to the table, and it’s pretty affordable. There were absolutely no negative reviews when it came to this product, only happy customers boasting about this attractant’s effectiveness. One customer took down a 10 pointer while others proclaim that deer keep coming back looking for more day after it has been used. The proof is in the pudding with this product, every customer who took the time to review it guarantee that it attracted their desired prey right where they placed it. 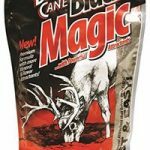 This product is 6.65 ounces of natural whitetail deer urine. The doe estrus is in aerosol form and can either be sprayed all at once or intermittently. This is to be used during pre-rut or rut in order to encourage sexual breeding behavior in bucks. 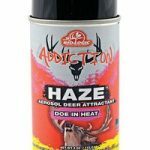 This attractant is affordable and has a 3.9-star rating on Amazon. The can is oxygen and UV proof allowing the urine to have a 3-year shelf life. The scent emitted from this aerosol will adhere itself to everything it touches. Although there were some negative reviewers stating that the product did not draw in any bucks or very few, the main concern from the negative commentary is actually in relation to defective cans not spraying or leaking. These seem to be a minority with most hunters swearing by this product. Evolved Habits offers this product that requires no mixing and is boosted by moisture. 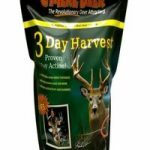 The attractant is enriched with phosphorus, sodium, and calcium to aid in overall health and rack development. This product is cheap and has a 3.3-star rating on Amazon. Approximately one-quarter of the customers who reviewed this product simply stated that it was not attracting deer to their chosen area. The other 75% of happy customers state that they swear by this product and that it yields an abundance of deer year round. After initial application, moisture will cause these minerals to keep reacting and attracting deer. Bucks seeking minerals for overall health and rack development will be drawn to the site to lick, paw, mark and consume the minerals. 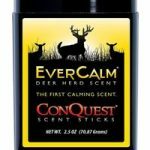 Conquest Scents takes on a new approach to attracting deer to an area with their EverCalm Scent Sticks. 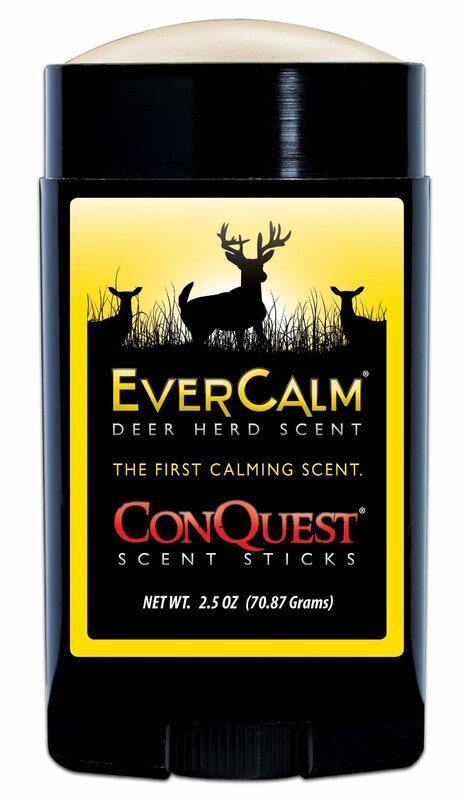 These sticks get rid of the spills, mess, and leaks of other attractant products and make the claim of being the world’s first calming scent. It is supposed to mimic the smells from deer bedding areas and should be effective all season. It is meant to attract deer to the area by placing them at ease. So far the product has a 4.4-star rating from nearly 200 reviews. 90% of the reviews from hunters were positive and 4 stars or above. One reviewer did caution future buyers to be careful with the product as it can stain clothing. 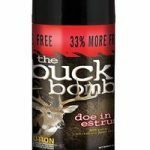 Mossy Oak offers their Doe In Heat genuine doe urine in an easy application 4oz Aerosol can through the Amazon add-on program. So far the product has earned itself a whopping 4.8 stars. Customers state that it is both a great attractant and a perfect cover-up scent. This product is meant to be used in rut and customer stated that they sawbucks daily with the use of this attractant.